Corporate parties and team building activities build camaraderie and boost employee morale. But how do you actually get your employees to join your events? Because let’s face it. Most aren’t receptive to corporate parties, especially if it’s mandatory. So what can you do to convince your employees to participate? Here are some ways you can spice up your team building events in the future. One of the reasons employees don’t enjoy attending company parties is because of the same, “cookie-cutter” programs. Especially if it’s an annual thing, people can easily get bored of the same activities. Renting an event space and looking for a party equipment rental company aren’t enough. If you’re willing to splurge, consider booking a resort and turning the event into an overnight outing. And liven up the program. After all, your employees can only do so much human chains and scavenger hunts. Think of activities that would engage the participants – maybe the kind you would do with your close friends. You don’t see yourself doing the trust fall with your buddies, right? It’s best to leave that one out as well. Organize semi-contact sports and turn it into a competition. Sports like volleyball and paintball increase testosterone levels, which is the hormone responsible for competitiveness. Studies show that healthy competition aids in building camaraderie among coworkers. Sports is also a good way to let off steam. Physical activities stimulate the body’s production of endorphins or “happy hormones.” These neurotransmitters effect a positive change in a person’s mood, a rush also known as “runner’s high.”This feeling helps release tension. Destressing with coworkers through sports is a good bonding acitivity. Serving alcohol in company events seems like a counterintuitive move, especially when you hear about drunk-at-work horror stories. But drinking in work events can help employees loosen up more. It’s just a matter of what and how much alcohol to serve. Offer a variety of drinks to remove the focus on the alcohol. Serve punch, soda, and sparkling beverages. Also, consider providing more beer and limit the hard liquor. Limit the drinks your company will provide. Tally how many of the attendees are drinkers and estimate the rounds of drinks you’ll be serving accordingly. If there’s an open bar, limit the number of hours it’ll be open. Also, hire trained bartenders and don’t allow your employees to serve themselves to prevent overindulgence. It’s also important to consider your company’s culture. 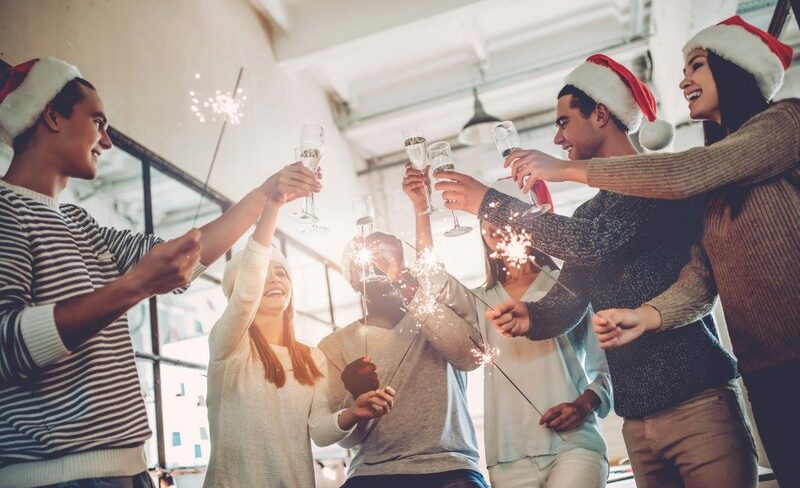 If the worker population in your workplace is relatively young, with an average age of 25 years old, for example, it may be a good idea to have stricter boundaries on alcohol consumption at work. Nothing brings people together as good food does. This is one of the overlooked aspects when planning company outings. So don’t skimp on the food. It’s slightly disappointing to participate in mandatory work events and only to get small servings. Also, provide variety so that people will have options. Don’t forget to factor in those who have dietary restrictions as well. It also helps if you set up a buffet table. This fosters interaction and conversation more compared to sit-down, served meals. 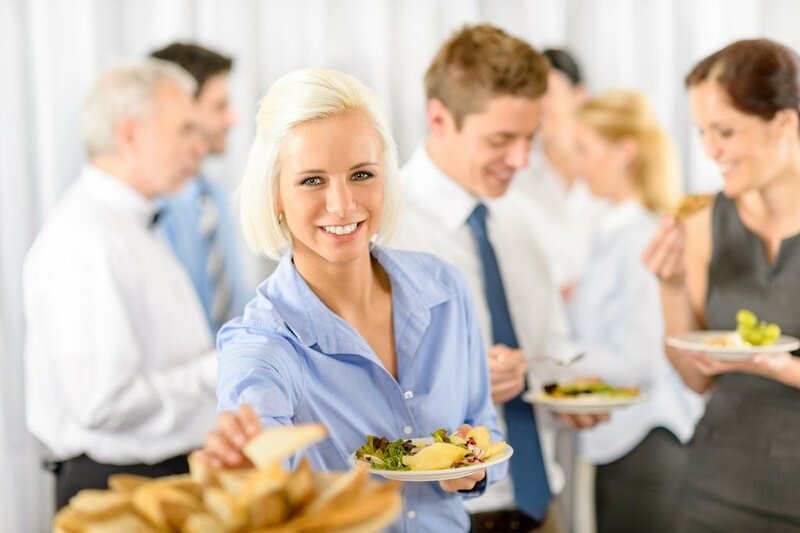 Company events can be effective with the right set of activities. You may not even need to stress that they are obligatory in nature because your employees will simply be enticed to participate. Hold more compelling team building events and you’ll have more productive workers.